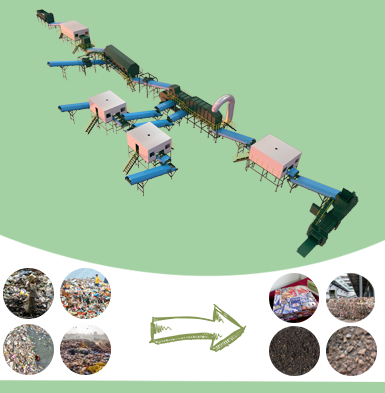 With the demand for biomass charcoal largely increasing day by day, sawdust charcoal making machine, as a major renewable energy project, has also got a rapid development. The process of making charcoal from wood shaving is the physical transformation of turning loose raw material into a compact form, which can make the density of raw material more exquisite. Compared with tradition fuel, the charcoal has high burning efficiency. How to Make Charcoal From Sawdust? Pretreatment: sawdust is also called wood shaving, which also contains much moisture. 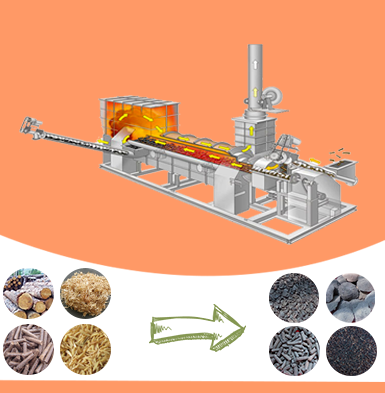 In order to increase the caloric value of biomass charcoal, our sawdust carbonization machine has installed dry device which can decline the residual moisture rate of charcoal to 20%, so as to guarantee the caloric value of charcoal. 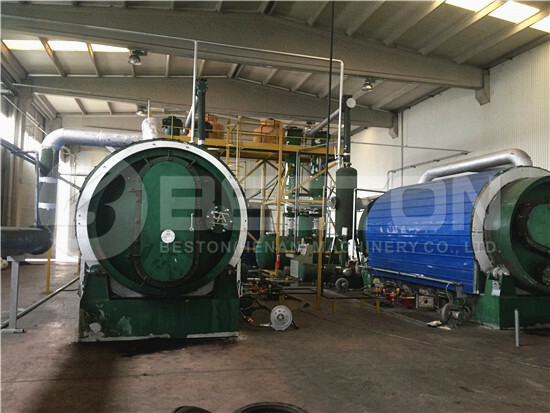 High temperature pyrolysis: after processed by dry device, the raw materials will be conveyed to sawdust carbonization furnace. At the beginning, we use traditional fuels such as coal, wood and natural gas to heat reactor, which will last 30 minutes; then when the temperature reaches 100℃, the sawdust will generate reaction to produce charcoal and combustible; at last, the charcoal will be collected after processed by a cooling system, and the combustible gas will be further processed. Smoke discharge and sulfur emission: because combustible gas contains sulfur components, our sawdust charcoal making machine has been equipped with spay dedusting system to remove the harmful contents. Then the cleaning gas will be extracted tar and wood vinegar by condenser system. Finally, due to the high burning value, the combustible gas will be recycled as fuel to heat furnace and dry device replacing traditional fuels. Furthermore, the carbonization furnace has adopted the double layers and horizontal design, which can make sure the hot source contact with raw material as much as possible, which can increase carbonization efficiency. Charcoal enrichment of sawdust disposal technology: in order to avoid unnecessary error, we should decline the temperature of charcoal to 30℃ before stored. By this method, it can make the whole working process safer. 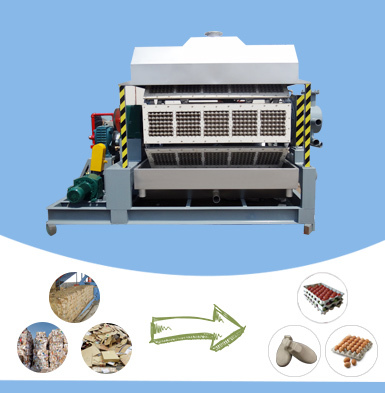 In addition to sawdust, the machine can also process sewage sludge, sorted MSW and other various biomass, such as rice husk, coconut shell, peanut shell, wood, straw, palm shell, etc. Charcoal: due to high caloric value, sawdust charcoal is always used as fuel in smelting industry and our living life, which can not only save much non-renewable energy, but also can protect the environment with little pollution. 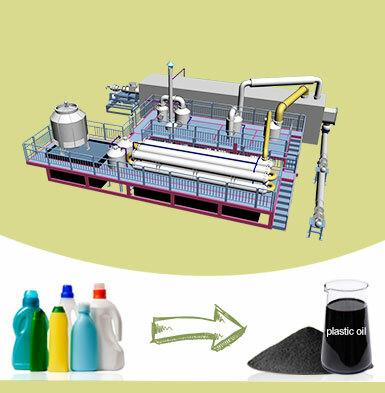 Besides, charcoal also can be used to produce activated carbon. 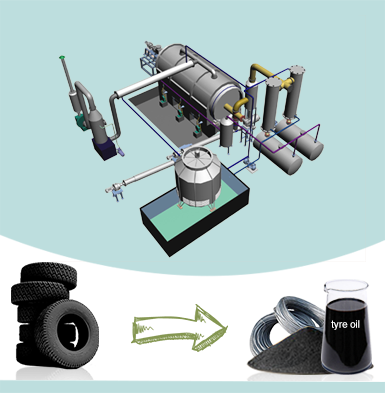 Tar: tar is a kind of chemical material that has good wear-resisting, corrosion resistance. So it is a better material to produce ship, oil paint, and mosquito-repellent incense, etc. Wood vinegar: it is also a material in medical treatment. 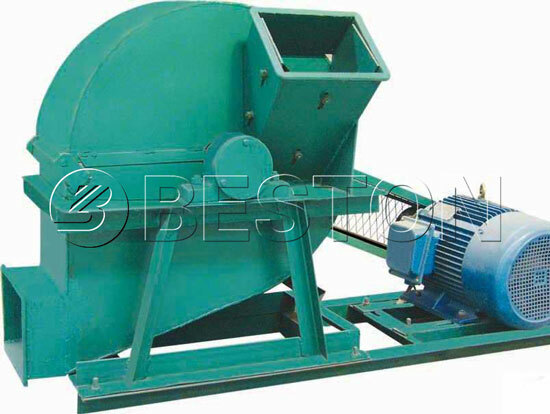 The sawdust carbonizing machine independently researched and developed by Beston Machinery Company also has brought hope to a safe living environment. 1. Using sawdust as raw material can reduce waste pollution. 2. Installation of spay dedusting system can remove the sulfur component, which can avoid serious air pollution. 3. The self supported fuel – combustible gas can produce little residual gas, and it has largely reduced environmental pollution. 4. Energy saving is also an outstanding feature during the whole working process. Charcoal made from sawdust has high density, high heat value, no smoke, no odor, pollution-free, easy to burn. It can be recognized as a kind of green and environmental-friendly product. At present, our sawdust charcoal making machine has been sold to foreign countries, such as Australia, Indonesia, Vietnam, Ukraine and etc, and have been installed and ran to production. So if you are really interested in our related project, you can also visit our equipment in the local site. Welcome!